Multi-modal neuroimages (e.g., MRI and PET) have been widely used for diagnosis of brain diseases such as Alzheimer’s disease (AD) by providing complementary information. However, in practice, it is unavoidable to have missing data, i.e., missing PET data for many subjects in the ADNI dataset. A straightforward strategy to tackle this challenge is to simply discard subjects with missing PET, but this will significantly reduce the number of training subjects for learning reliable diagnostic models. On the other hand, since different modalities (i.e., MRI and PET) were acquired from the same subject, there often exist underlying relevance between different modalities. Accordingly, we propose a two-stage deep learning framework for AD diagnosis using both MRI and PET data. Specifically, in the first stage, we impute missing PET data based on their corresponding MRI data by using 3D Cycle-consistent Generative Adversarial Networks (3D-cGAN) to capture their underlying relationship. 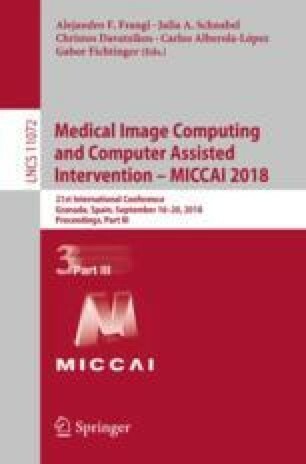 In the second stage, with the complete MRI and PET (i.e., after imputation for the case of missing PET), we develop a deep multi-instance neural network for AD diagnosis and also mild cognitive impairment (MCI) conversion prediction. Experimental results on subjects from ADNI demonstrate that our synthesized PET images with 3D-cGAN are reasonable, and also our two-stage deep learning method outperforms the state-of-the-art methods in AD diagnosis. This research was supported in part by the National Natural Science Foundation of China under Grants 61771397 and 61471297, in part by Innovation Foundation for Doctor Dissertation of NPU under Grants CX201835, and in part by NIH grants EB008374, AG041721, AG042599, EB022880. Data collection and sharing for this project was funded by the Alzheimer’s Disease Neuroimaging Initiative (ADNI) and DOD ADNI.